DRYVE Assured redefines fleet management with its full fleet optimization platforms. With multiple program options we have the ability to create an ideal package for any organization that doesn’t want to deal with approvals of maintenance request for each vehicle, contend with the tracking of repairs, hassle with filing paperwork and hassle with the personnel issues that often accompany maintenance request. DRYVE Assured takes a hands-on approach, working to create local and nationwide fleet maintenance programs with clear and quantifiable benefits to our clients. Taking the role of a consultant and partner to each and every client, DRYVE Assured works to develop and implement strategies that will benefit financial statements, risk/liability profiles, and operations. By creating a client services business with our fleet management business, DRYVE Assured offers: Fleet Best Practices – Fuel Programs – Maintenance Management Programs – GPS/Telematics Solutions – Driver Safety and Training – Advisor Services – Vehicle/Asset Expense Reporting – Maintenance & Repair Scheduling & Coordination – Monthly Vehicle Utilization Reporting, we also provide consulting services included in every plan that effectively reduce fleet operating costs, frustration, and downtime! 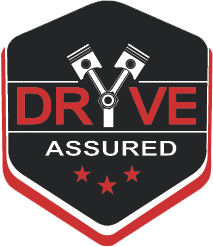 If you want consultants who truly understand the core of automotive repair and preventative maintenance, who will dive into details, give honest feedback and recommendations, with proven results, Call DRYVE Assured Today! Let’s Start Something GREAT!